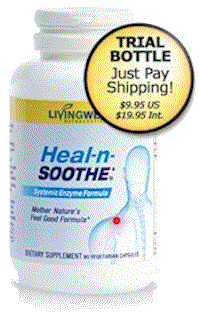 Heal-n-Soothe is a natural alternative supplement developed by LivingWell Nutraceuticals and The Healthy Back Institute to help you relieve pain and inflammation. Allow your body to avoid non-steroidal anti-inflammatory drugs (NSAIDs) nasty side effects. and try a natural solution. Heal-n-Soothe offers all-natural ingredients including proteolytic systemic enzymes to help your body heal and reduce pain. Proteolytic systemic enzymes contained in Heal-n-Soothe work to fight inflammation with a process called Systemic Enzyme Therapy. Enzymes are known as biocatalysts, an element essential to push biological process faster. Research on Systemic Enzyme Therapy results have shown this one defending mechanisms against inflammation. With Systemic Enzyme Therapy (a method that has been used over the past fifty-five years), the enzymes are thought to work throughout your body in each organ, allowing your body to fight inflammation that typically leads to diseases. Another important trait of systemic enzymes, studies show that are also adaptogenic. This means that when your body is undergoing immense stress (in this case, inflammation resulting in the pain), these enzymes will soothe the stress response ideally leaving you the energy needed for fighting and healing the inflammation. The body produces a finite number of enzymes in life, and by adding enzymes we’re better able to fight off Fibrosis. Studies continue to believe that reducing inflammation can have a significant effect on your overall health including relief from muscle and joint pain and overall optimal health. 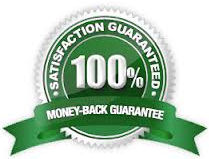 Offers a free trial product or a 90-Day buy back guarantee when purchased (minus shipping expenses) if not satisfied. LivingWell offers nice discounts when ordering 3 to 6 bottles at a time. Could alleviate scar tissue, while adding enzymes to our bodies. Thins blood, reducing potential clotting (if you are not on anticoagulants). Jesse Cannone has been teaching people how to alleviate chronic pain and live a healthier life for over 17 years . The company offers a lot of freebies to try other related products for natural pain relief. BBB Accredited Business since 2005. Like most natural solutions, it may take time to see results, but individual results will vary. Poor sleep quality raises inflammation, so a full night's rest while taking this product will greatly aid its effectiveness. Inflammation risk is higher when BMI is higher than 30. Do not take if you have hemophilia or on anticoagulants (is a blood thinner). All of LivingWell's suite of products are not available at local retailers and must be ordered online.